I thoroughly enjoyed making this little layout. The DP is from My Mind's Eye Lost & Found - Blush. Once I got the layout done, I went to my stash and started embellishing. The crocheted flowers, pearls, pearl pin and Love clip are all CtMH. The paper flowers are Recollections and the crocheted trim is from my stash. 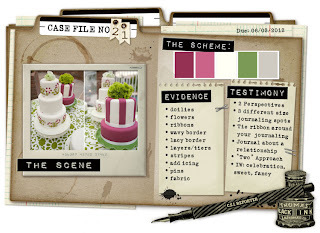 Love your vintage layout...It's great to have those old photos! You really made that gorgeous paper shine ... love all of those wonderful embellishments ... so very glad you joined us at Unscripted Sketches. I absolutely love your layout and love all the little touches like crocheted flowers. I love, love that you left the date visible, what a special touch that it was written by your mother. 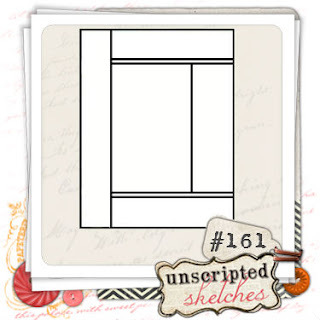 Thanks for sharing your wonderful layout and thanks for joining us at Unscripted Sketches. What a lovely page. So glad you joined us this week at Unscripted Sketches. Beautiful and heartfelt. 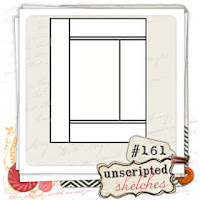 Thank you so much for sharing it with us at Unscripted Sketches.